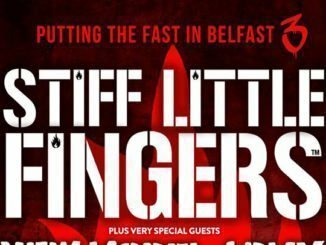 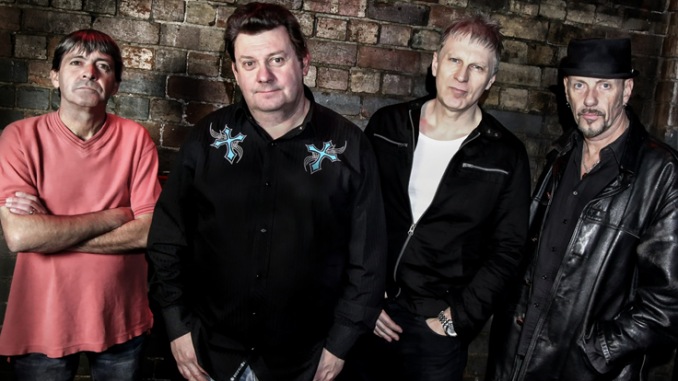 Following their SOLD OUT Custom House Square show last year, Legendary NI Punks STIFF LITTLE FINGERS are back! 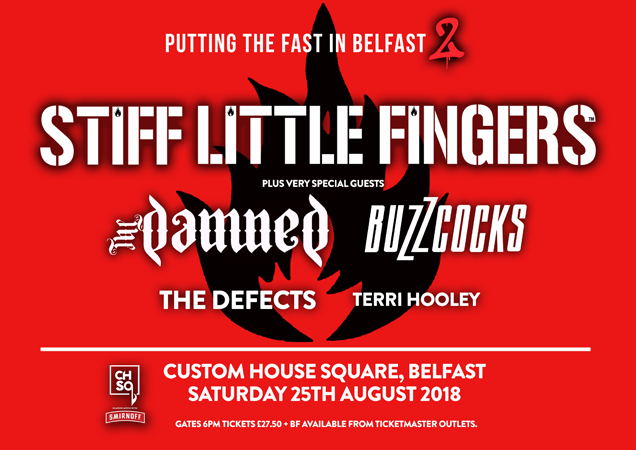 at Custom House Square in Belfast on Saturday 25th August 2018 alongside an all-star lineup of special guests & friends including THE DAMNED, THE BUZZCOCKS, THE DEFECTS & TERRI HOOLEY. 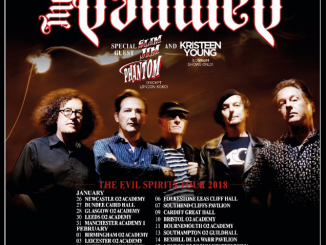 Tickets, priced £27.50 + Booking Fee, go on-sale Friday February 02nd at 9am from Ticketmaster Outlets nationwide. 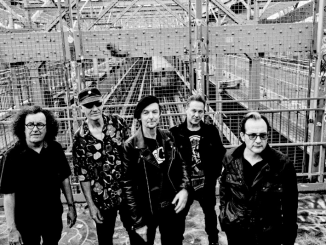 THE DAMNED on track for first UK Top 10 album in 41 years.